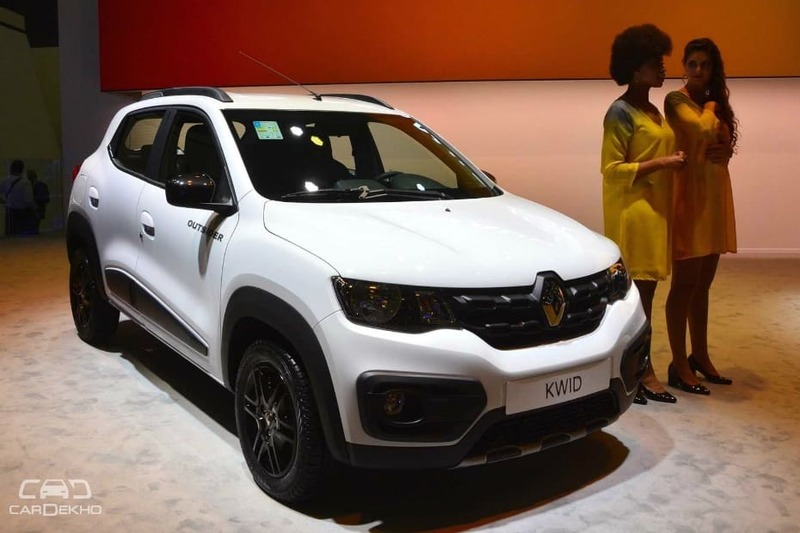 First shown at the 2016 Sao Paulo Motor Show, the Renault Kwid Outsider Concept has now come to life in its production guise at the 2018 event. The production-spec Kwid Outsider is similar to the concept car that was shown two years ago in Brazil. It is, therefore, similar to the Kwid Climber that we have in India. How does the Kwid Climber differ from the Outsider concept that was showcased in 2016? Read here. Talking about differentiation from the regular Kwid, the Kwid Outsider gets a bunch of cosmetic upgrades that make it look more rugged and adventurous, like the roof rails, sidebars, plastic silver inserts in the front and rear bumper, wheel arches surrounded by black plastic cladding and ‘Outsider’ badging around the car. The India-spec Kwid Climber also gets these exterior accessories. On the inside, the Kwid Outsider can be differentiated from its regular cousin by the presence of orange inserts in multiple places inside the passenger cabin. The top of the gear lever also receives this treatment and immediately catches the eye due to its striking colour. Even the seats have a bit of orange in them. The Kwid Climber also gets orange inserts inside the cabin. The Kwid Outsider gets a 1.0-litre petrol engine underneath the bonnet, just like the regular Kwid. It is tuned to produce 66PS when running using petrol and 70PS when using ethanol in Brazil. Torque figure stays similar at 91Nm for both types of fuel. In India, the Kwid’s 1.0-litre petrol engine makes 68PS of maximum power and 91Nm of maximum torque. Sales of the Kwid Outsider will begin in Brazil in the first half of 2019. The new variant will be positioned on top of the existing variants of the Kwid. The Kwid Outsider is not meant to come to India. We already have the Kwid Climber priced at Rs 4.33 lakh and Rs 4.63 lakh for the manual and AMT version, respectively (both prices ex-showroom Delhi).